A novel based on true experiences, Come to the Garden is a story about a woman’s journey with a mysterious angel that encourages readers to believe heaven is closer than they think. Years ago, author Jennifer Wilder Morgan served as a hospital volunteer, visiting critically ill patients—praying with them and listening to their stories. As she created a safe space for those of all faiths and backgrounds, patients began confiding in Morgan about the mysterious ways God speaks to them—including encounters with angels, visions of loved ones who've passed on, and messages of comfort spoken in dreams. She witnessed the profound healing that occurs when people are permitted to talk about these experiences, and as a result, Morgan was inspired to share her own personal encounters with God in a novel. 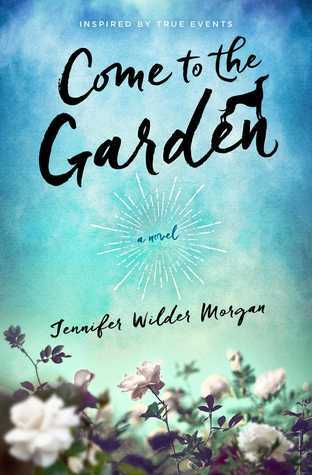 In Come to the Garden, the main character Jenn wakes up on her birthday to find an angel introducing herself as Margaret in the backyard garden. Lately Jenn has been struggling to make sense of the mysterious ways God has been speaking to her and is trying to understand what he wants her to know. The angel takes Jenn back through her memories and life experiences, revealing how God has been connecting with her all along. Under the angel’s guidance, Jenn finally understands the messages God has been speaking to her, in her dreams, divine promptings, and unexplained coincidences. It becomes clear that God is a faithful and persistent pursuer of the human heart. Framed as a series of conversations between Jenn and her guardian angel, this uncorstanding of God. Come to the Garden is an inspirational fictional story about the surprising ways God works in our lives and affirms that heaven is truly closer than we think. "Come to the Garden" is a must read for anyone! If you love to read, you don't want to miss this one! I was so sad to see it end because of it's powerful message. The reader feels deeply connected to the main character, Margaret in this novel as you discover a journey that you didn't think would be possible. Not only do you connect with Margaret, but you also get this feel that you're sitting in this beautiful garden with Jenn. I can't really explain it, unless you read the book. Jennifer Wilder Morgan does a phenomenal job at engaging the reader into the story. It is encouraging and humorous. It is light and deep. The book has this powerful stark contrast that is compelling and beautiful! I think ya'll would just love this book! Don't miss reading this book. I give this book 5/5 stars for the way this book drew me in immediately. Having never read a book by Ms. Morgan, I am now a fan and cannot wait to get my hands on another one of her books. Thank you to Howard Publishing for providing me a complimentary copy for review.